In my high school years I was an active member of the youth farm of my school being the pride owner of ¨Billie ¨, a misbehaving white male goat , numerous chickens , rabbits and my dog Chappie. As a result of this hobby I studied veterinary medicine and worked in Holland for 15 years, the last 10 years in a big group-clinic in Tilburg, in the south of Holland. In 1999 we decided we wanted a new challenge in life and after spending and enjoying four months in sunny Capetown , South-Africa, we contacted the Pointer Clinic in Marbella. Since 2001 I live in Marbella with my partner Anouk , three kids Jorn, Maxime and Auke , two dogs, Luna and Panda and our cat, Boots. Professionally I am particularly interested in Emergency care , Dermatology and in Internal medicine / ( radio ) diagnostics , an interest which is well supported by Pointers extensive equipment. Privately I like sports like tennis and running and, sometimes to their distress, to hang out with my family. 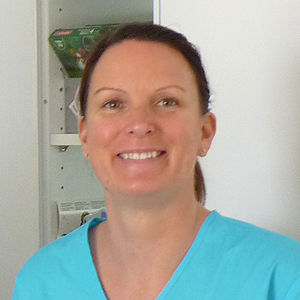 When you visit our clinic you will also see a team with a family structure and attitude, years of experience supported by extensive in house equipment to perform best in the treatment and support of what is so valuable to us. 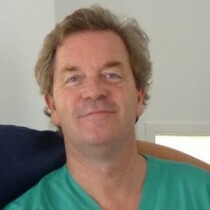 I have been working at The Pointer clinic since 1996. During that time i have seen, and been part of the clinic’s many changes, culminating in its move to our new, much more modern & client friendly location. I am head nurse and my job is to treat and take care of all hospitalized pets, and to assist Andre in all aspects of the job. Working here is very fulfilling and satisfying. I was born in Israel and brought up in Brighton, England, but have lived here in Spain since I was 16 years old. I am now married and have a son. I have a very old, very lovely dog called Axel, who we at the clinic rescued 15 years ago. He joins me at work every day and plays in the garden with our other clinic dogs. The team here at Pointer Marbella are like my extended family, we are not just collegues but great friends, which makes every day working here fun. 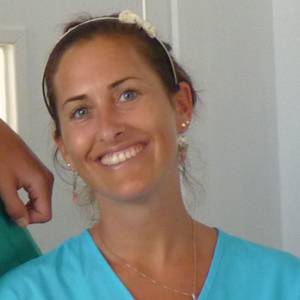 My name is Jennifer Katz and I am the receptionist at the Pointer Clinic Marbella. This was my first job. I started working here in January 1996 through till May 1999 when I decided to go traveling for 6 months. Upon my return I worked for a hotel chain for 8 years both here in Marbella and in Paris, France. In April 2007 Andre contacted me and asked if I would consider returning to work in reception again which I gladly accepted. I was born in Marbella and have lived here most of my life. My parents are both Swedish and live here as well. I went to British schools here so I speak fluent English, Spanish, Swedish and some French. I have two little Dachshunds called Stig and Maya who certainly keep me on my toes! I love working in the reception as I get to meet and interact with all our clients and their pets. We have a lovely atmosphere, which makes coming to work great fun.